Welcome to the new Mile High Club...although you won't need to be up in the air to join. Jumbo Stay recently celebrated their two year anniversary of Jumbo Hostel, a unique hostel which is incased within a retired jumbo jet. 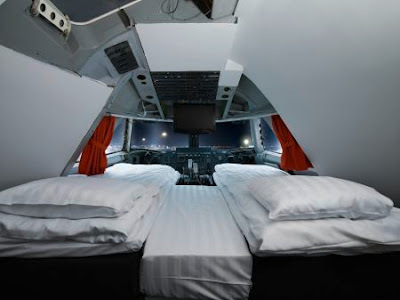 The fully furnished plane houses 25 rooms with three bunk beds in each room and a honeymoon suite, which is situated in the cockpit. 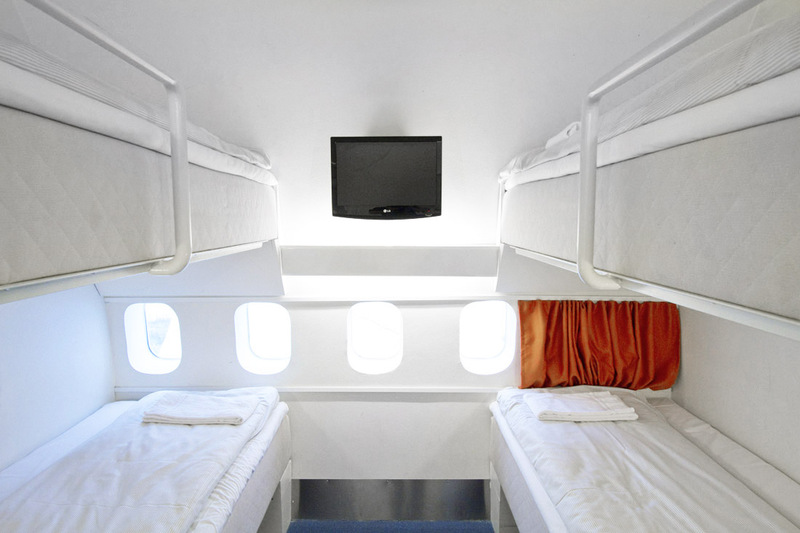 Jumbo Hostels is located at Arlanda Airport in Sweden and offers affordable accommodation, perfect for those on short business trips. The design also includes many of its original plane fittings, such as the overhead lockers, oxygen masks, lighting and seat belt signs. Check out the video below to see more.